Not Your Typical Brew - Word on the street with Visit Minot!Word on the street with Visit Minot! 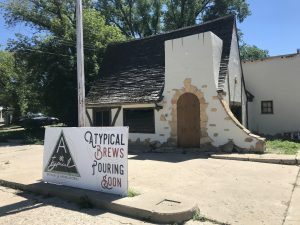 Atypical Brewery & Barrelworks will be opening its doors for all of us to enjoy. Located on the edge of Downtown Minot, they are a locally owned and operated brewery that specializes in barrel-aged sour beer. The reason “Barrelworks” is apart of their name is because they make their own oak barrels for their sour beer. The beer will age in the barrels for maybe 6 months or up to 3 years. Aging will add a sour taste to the beer, and during the time the beer is aging they can add fruit to the beer to give it a different taste. They will not only be producing sour beer, but they will produce a variety of craft beer, a type of beer for everyone to enjoy. Craft beer’s popularity is on the rise because of the variety of flavors that can be made. It’s called craft beer because it is a craft. There is an art to making it taste the way you want by aging it or adding fruit or other ingredients. Atypical Brewery is special because it has been created by a few local guys with a passion for craft beer. They have put in so much work over the past year, while working around their other jobs, trying to make their dream become reality. In hopes of being open by the end of the summer, their dream is in sight and getting closer every day. The idea for a brewery was always the plan for these local owners, but finding a building was something they had to do first. 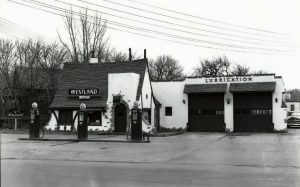 They have found an old gas station built in 1927 which they are re-purposing. The cottage-looking building is easily recognized by Minot natives but has been vacant for years. With indoor seating and outdoor patio seating, they are getting excited to serve fellow craft beer lovers. They want to share their love of brewing craft beer with the rest of Minot and hope you’ll find a love for it too. You can keep an eye out for an opening date from Atypical Brewery & Barrelworks on their Facebook page. You will definitely want to try this place out.